Luxury consumers continue to become accustomed to top-of-the-line service at every stage of a purchase, requiring retailers and brands to make sure their shipping experiences are on-par with the rest of the supply chain. According to a new report from YouGov, commissioned by Infor, 78 percent of consumers want to receive status updates on their purchases as they are being prepared and delivered. Not only that, but many of those consumers are willing to switch brands and not make future purchases if those expectations are not met. "In 2016, we asked similar questions and at that time, among millennials (18-34), fashion was rated number one," said Greg Kefer, vice president of marketing for the Infor GT Nexus Commerce Network, New York. "Now, we are seeing categories such as food and beverage and consumer products rank ahead of fashion, with high-tech not far behind." The supply chain is an integral part of any consumer’s purchasing experience. While brands have spent significant resources ensuring that marketing, discovering and purchasing products are all top-notch, those same retailers must continue to innovate between the point where a purchase has been made and when it is delivered. The survey from YouGov found that of the 78 percent of consumers who highly value status updates, nearly half said estimated time arrival is absolutely essential. A further 29 percent said that real-time information of where their product is at any given moment is paramount. For retailers that do not offer satisfactory experiences, consumers said they are highly likely to switch brands to one that meets their needs. This is especially true for luxury-specific sectors such as fashion and footwear or automobiles, with 40 percent and 20 percent respectively saying they would switch brands. Customers’ high expectations for delivery service can be blamed partially on Amazon, whose two-day and same-day shipping options have spoiled many consumers with how quick and reliable shipments are. Amazon’s Chinese counterpart JD.com is giving the online luxury shopping experience a more personal touch. 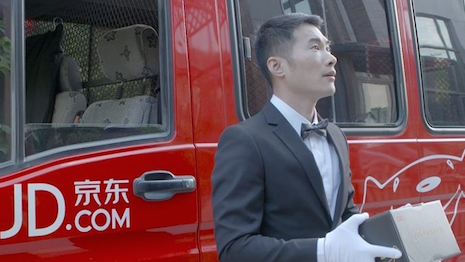 For its JD Luxury Express, the retailer has trained a special team of employees, who will shuttle luxury purchases to consumers’ doors in style. Designed to more closely replicate the individualized experience expected from bricks-and-mortar stores, JD’s service aims to ensure that luxury products are handled in a manner that reflects the brand (see story). Other luxury brands have attempted to bring out their own high quality delivery services. 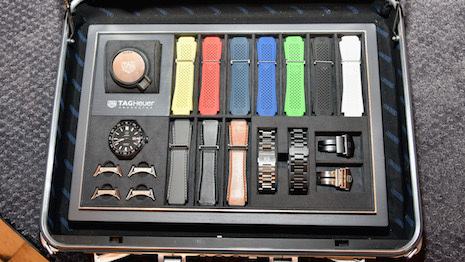 For instance, LVMH-owned Swiss watchmaker Tag Heuer unveiled a new personal atelier service with startup Enjoy to hand-deliver products to customers’ homes. Enjoy was founded by Ron Johnson, the former vice president of retail at Apple and the pioneer of Apple’s Genius Bar. Tag Heuer will be the first luxury brand to use Enjoy’s personalized delivery service that adds value to the delivery process (see story). "In our business, supply chain visibility is frequently cited as a foundational element of innovation and transformation," Infor's Mr. Kefer said. "Companies must be able to 'see' across the vastness of their global supply chains, so they can identify gaps and make improvements."